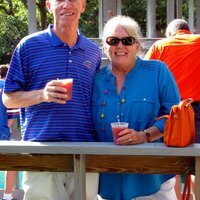 We are a retired 65+ married couple of 43 years. We've lived in Florida for the past 34 years, before that Illinois. Mark's retired from the Citrus business and Val's a retired florist. We've been RVing for 15 years. We have 2 kids and 6 grandchildren and one Goldendoodle. We enjoy traveling, being outdoors, and meeting new people. 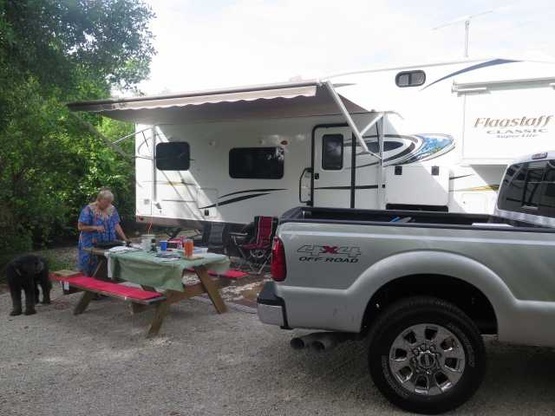 We recently purchased a 2016 31-foot 5th wheel with 2 slide-outs.